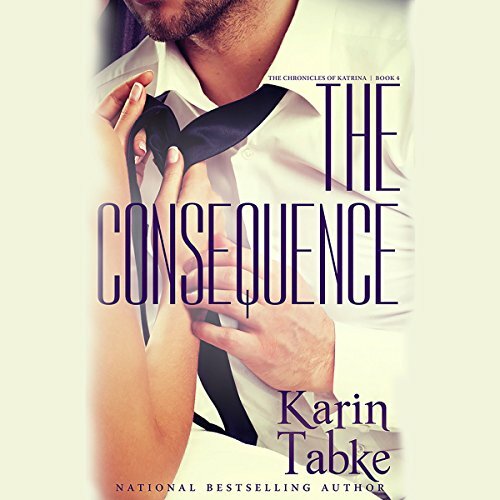 The Consequence, the explosive conclusion to The Chronicles of Katrina, will leave you breathless and panting for more. They have been dared and double dared, and they've flirted with the truth, but as Kat and Simon tumble deeper into their sexual odyssey, their love for one another blooms magnificent and fierce. Soon their love is threatened, but Kat's certain nothing can tear them apart. Then duty calls, and Simon's betrayal is revealed. Will Kat run again, or will she finally stand and fight for her man? ©2015 Karin Tabke LLC (P)2015 Audible, Inc.